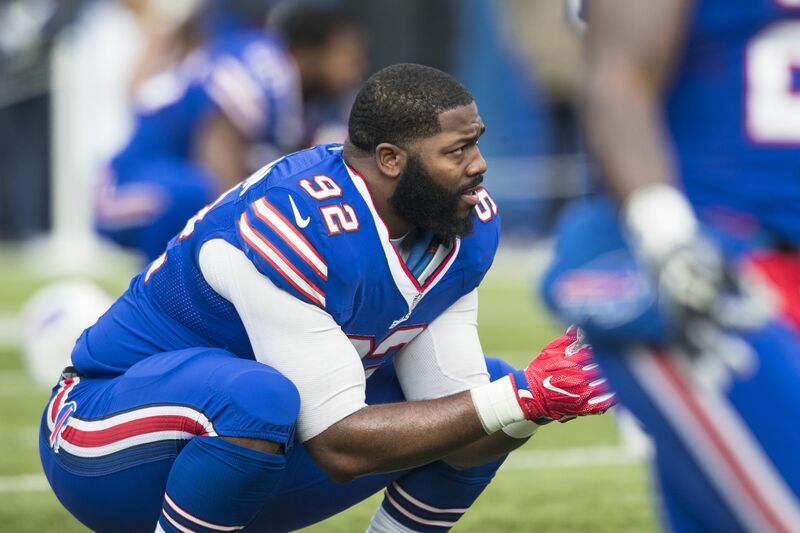 Buffalo Bills defensive lineman Adolphus Washington carried a gun into an Ohio water park. What happened next is what you’d expect. Buffalo Bills defensive linenman Adolphus Washington apparently wanted to be protected when he visited an Ohio water park. According to Bob Stickley of the Cincinnati Enquirer, Washington decided to take a trip to Splash Park, a water park in suburban Cincinnati. Washington was sitting in his car at the same time Sharonville Police was clearing out a crowd from the parking lot of the park around 10 p.m., according to the police report. The police noticed Washington displaying a gun while he was sitting inside his car, perhaps ready to defend his property from the crowd that was being removed from the park. The cops approached Washington’s car and arrested him for improperly carrying a concealed firearm since he didn’t inform the police beforehand that he had a weapon in his vehicle. The Bills have released a statement that they are aware of the situation surrounding Washington but will not comment further until more details emerge. Buffalo has to be hoping that Washington is cleared of any wrongdoing and doesn’t face possible criminal penalties and/or sanctions from the NFL. As Stickley points out, this isn’t the first time Washington has been in trouble. In 2015, he was arrested for soliciting prostitution during his time with the Ohio State Buckeyes. He was also suspended by the team for breaking team rules. Professional athletes are unfortunately in the position of having to protect themselves more than the average individual, especially if they are well known. Washington is a native of Cincinnati and was a star football and basketball player at the city’s Taft High School.